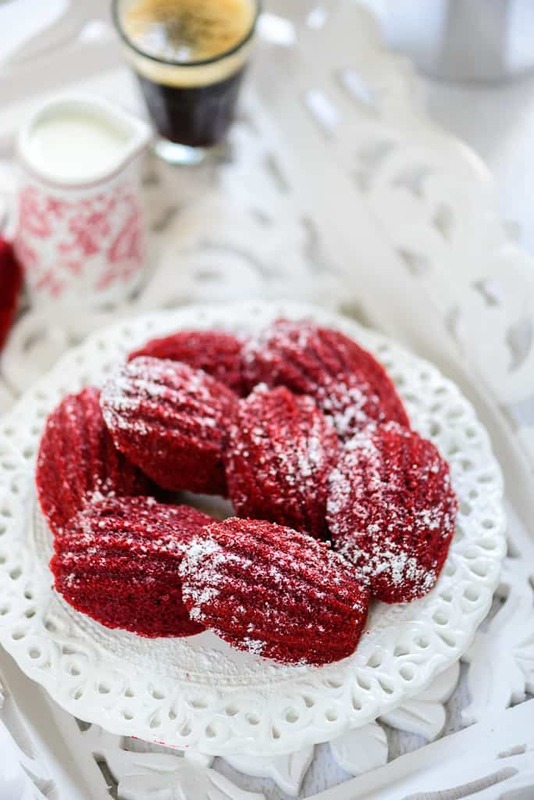 Red Velvet is a very unusual color and flavor. Many even find it exotic. 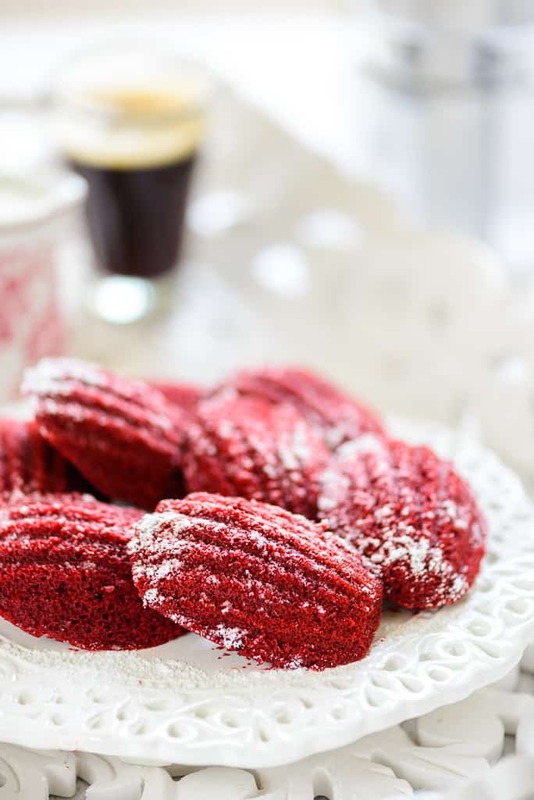 Red Velvet cupcakes and cakes are much liked by everyone, but Red Velvet Madeleines are probably something you may have never heard. 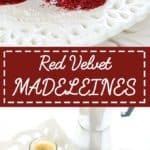 Red Velvet Madelienes are a variation to the traditional holiday cake. They look majestic, attractive, taste great and soft and moist too. They also make for a great gifts for family. You can make them in large batches and store and enjoy all through the festive season. 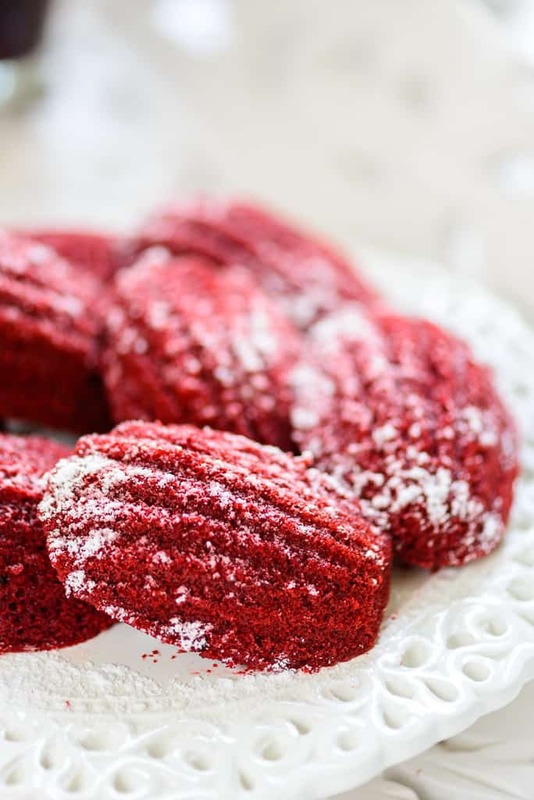 Here is how to make Red Velvet Madeleines. Mix flour, cocoa powder, baking powder, baking soda and salt in a bowl and keep aside. Whisk butter and sugar until light and fluffy. Add red food color and mix well. Add vanilla extract, milk and vinegar and mix well. Transfer the batter in a piping bag and pipe the better in the mould until they are 3/4th full. Bake for 8-10 minutes until a tooth pick comes out clean. Remove the madeleines on a wire rack and cool completely. 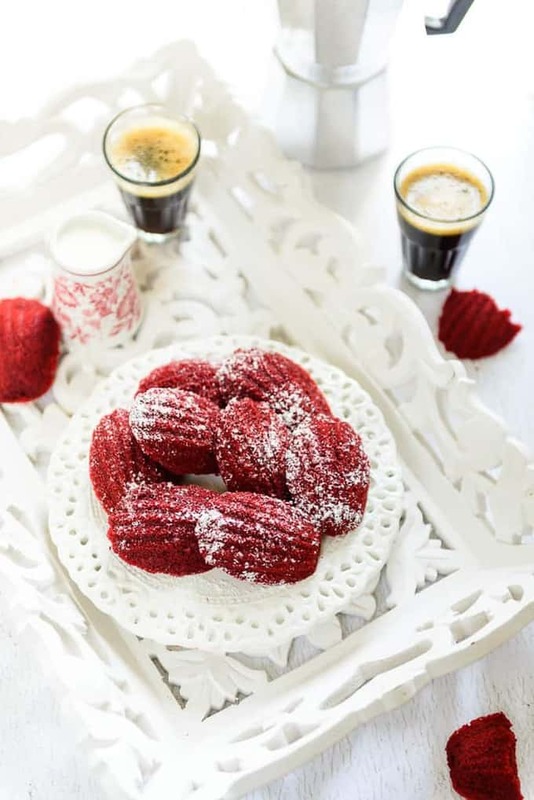 Dust with powdered sugar once cooled. 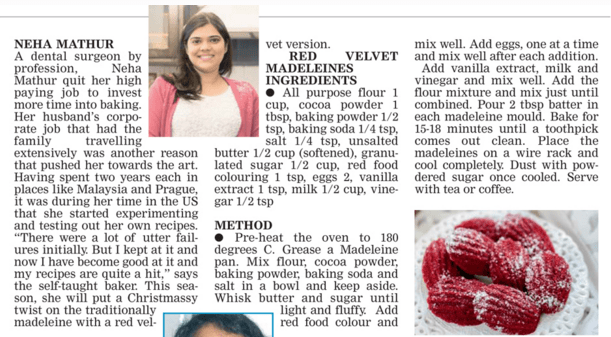 These Madeleines and your’s truly got featured in a popular Bangalore Newspaper recently. Here is the clipping.